▷ Pioneer Avic-S2 update. Speedcam for your maps. Download update. Free custom download. 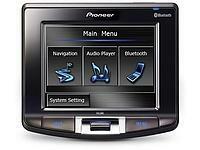 In order to update your GPS device: Pioneer Avic-S2 with the latest update, follow next instructions. First of all, be sure you got the update file for your Pioneer Avic-S2 device, downloaded from SpeedcamUpdates.com. Copy into your Pioneer Avic-S2 device, the extracted files before, into the memory card, in a folder called "./iGO8/Content/Speedcam". Go outside with your Pioneer Avic-S2 device to get GPS coverage. Activate the alerts using "Navigation Menu/Settings/Warnings/speedcam Warning" and "speedcam Settings".